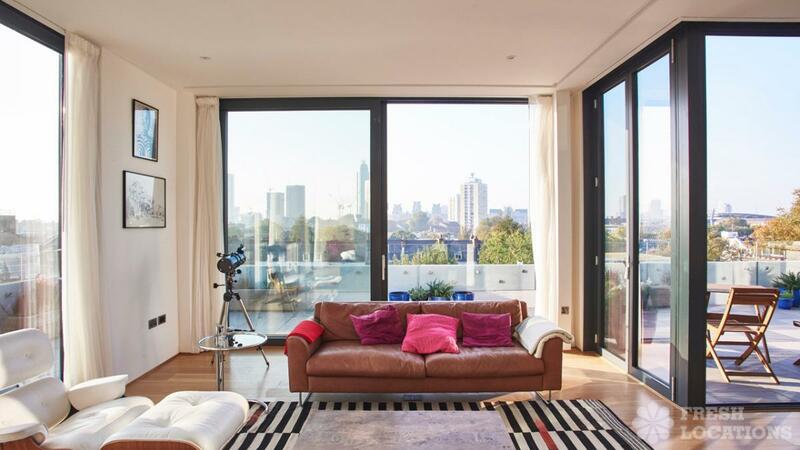 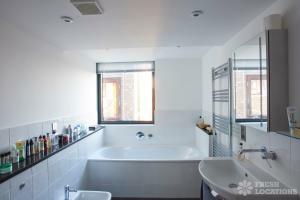 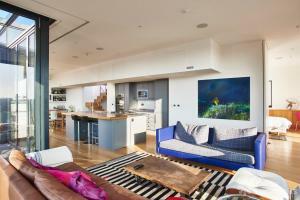 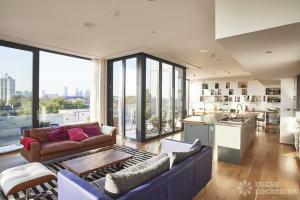 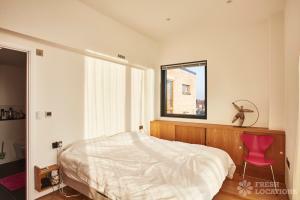 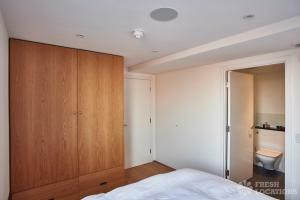 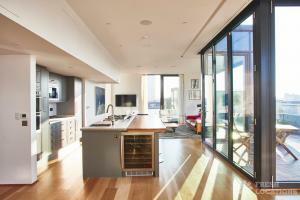 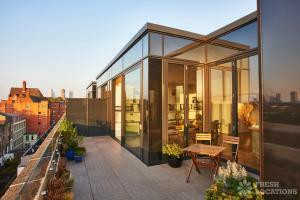 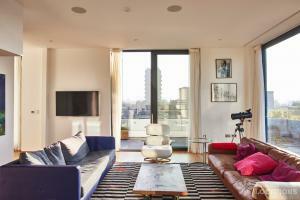 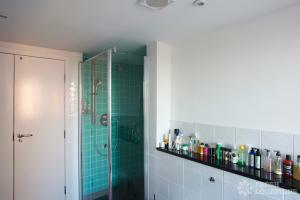 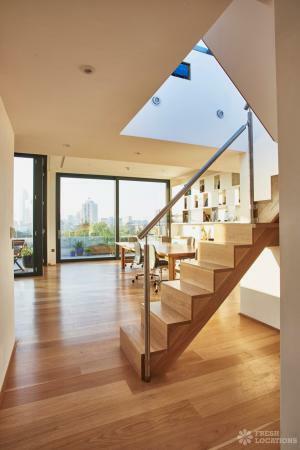 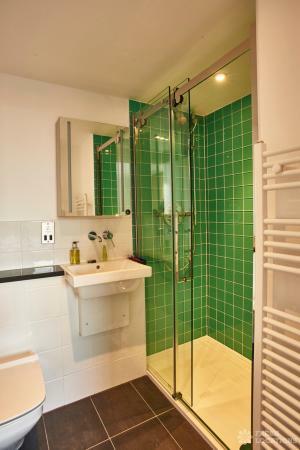 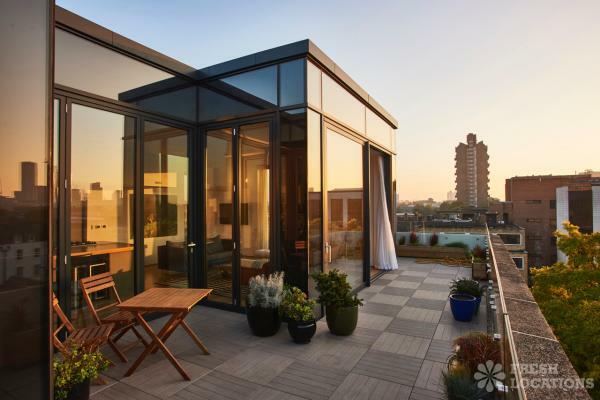 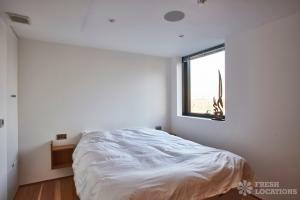 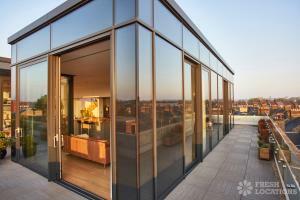 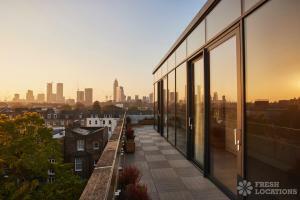 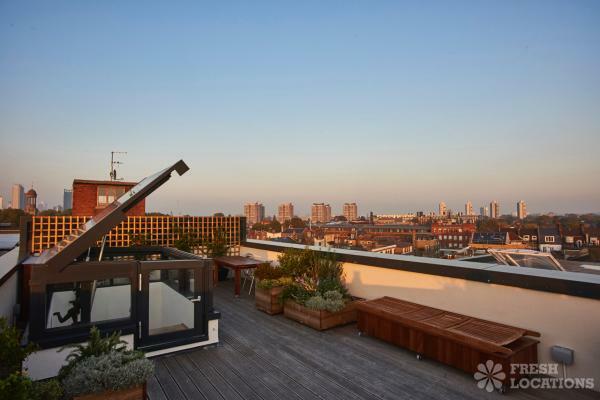 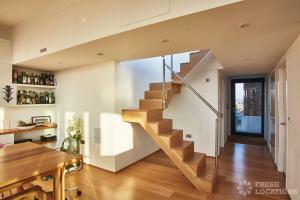 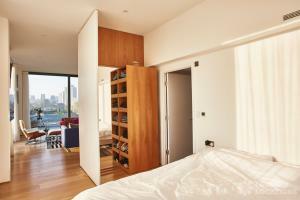 Light and modern two storey penthouse apartment in South West London. 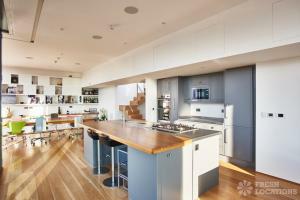 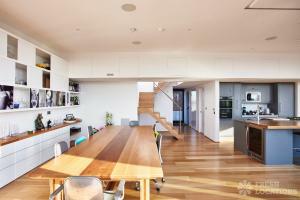 Open plan island kitchen/lounge area with full height windows, wooden floors and an open staircase. 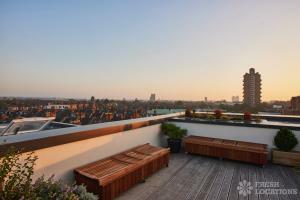 Large decked terrace overlooking the city.